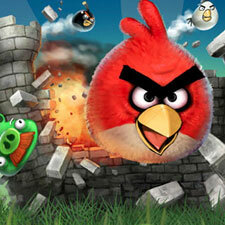 Angry Birds has enjoyed more than 75 million downloads, so it’s about time that the game developer Rovio is expanding the franchise to the Facebook. The official Angry Birds page on Facebook says that the game will come to the social network in a month, promising to update you on the release you can click “like” to stay up to date. Already 1,260,347 people have Liked it. This game is available on iPhone,iPad,iPod, and Android. Now we will have this on Facebook also.